My puppy is 5 1/2 months old. I rescued her from a shelter 2 months ago. I have no history on her. The vet at the shelter thought she was a mix of German Shepherd and Belgian Malinois. Her ears are huge but so cool. She is the smartest dog I have ever seen! I agree looks like a lab/pharaoh cross, beautiful dog. Better keep it, so adorable. I know how it feels because I have 2 cats. Wow! I think the Pharaoh Hound looks a lot like her! 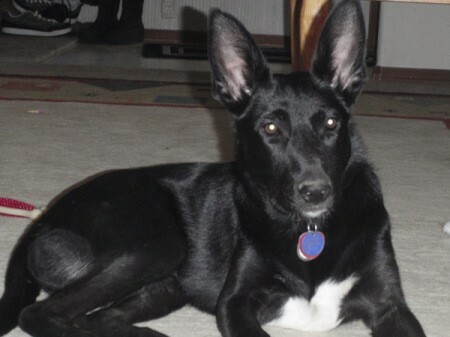 When I Googled the mix (Shepherd & Pharaoh) They looked just like her! 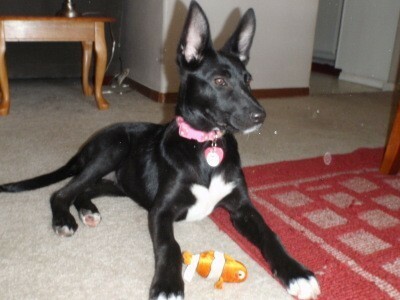 She has the longer neck , gangly legs , and HUGE ears. The posture is identical! Look at this pic, taken when she was 4 months old. Thanks so much for the input. I think you may be right. Your beautiful girl is a credit to you and irrespective of her mix-breed just love her for who she is. Hello, she is just beautiful! My nephew has a police k-9 that is a Belgian and he is very smart and easily trained. Maybe you can train her to do search/rescue, a little drug enforcement or maybe a social dog for schools & senior homes? 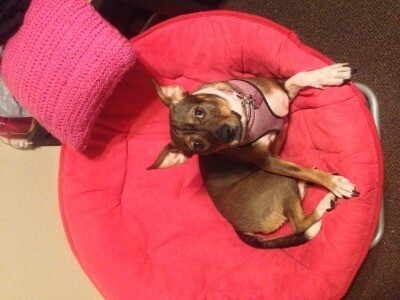 *Update* It was confirmed today , Sadie' is part Pharaoh Hound! What an amazing mix, GSD, Malinois, Pharaoh Hound. It was fun getting her 'history today. Being a rescue, it's sometimes hard to fill in the blanks. Knowing a little more about her is so exciting! We are so in love with her, it wouldn't matter at this point , but it is interesting none the less. She is a pure joy! I have a dog that looks very similar and will be 6 in June 2013. She is part Pharoah Hound, part English Pointer. 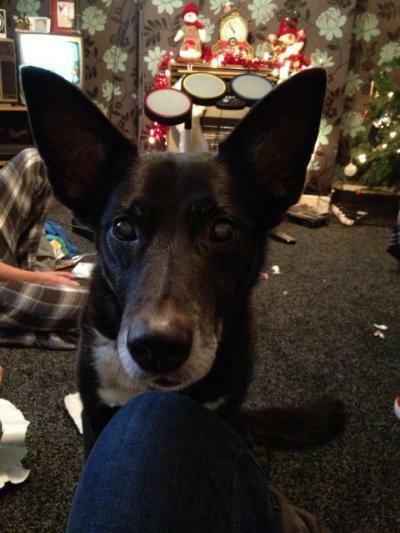 If you got your dog from around the Derby area she could be from the same litter and will be 1 of 9. Your little girl is so pretty. For me, she really looks like a Taiwan aboriginal dog. I'm not sure though. 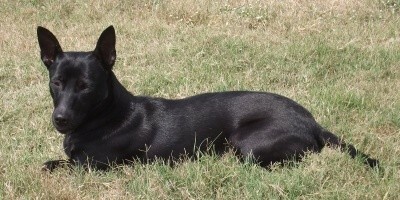 Looks to me to be a black Basenji. What dog breed is mine? She's a year and 4 months and is very hyper and loves to chew up things. She's extremely affectionate. Shes 45 pounds. She loves people and attention. She teethes a lot still and is a little aggressive. She also likes to chase after animals and flies. She is sometimes unsure of things and acts almost scared. She had 3 previous homes before me. She is extremely attached. She has a deep bark that sounds like a big dog. She is kind of unsure about other dogs. She also loves to lick people. She is also short haired and doesn't shed much. She also likes to run around in circles everywhere. 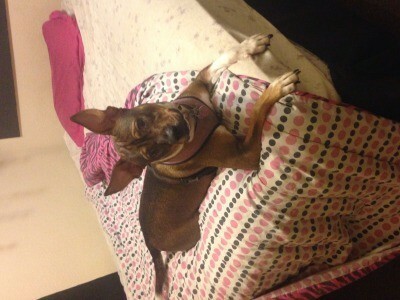 I have a dog that looks a lot like yours but black and tan but only about 20 lbs. But very smart, we rescued him from a parking lot a couple of weeks ago. She looks like a Chihuahua like the larger kinds. Does she have any white on her legs? If so she may have some border collie in her. If just on her chest, most likely the vet is correct (though you can't know unless you do a DNA test and those are not always right). Mals and Dutch Shepherds can have white on the chest- usually it gets smaller with age but not always. 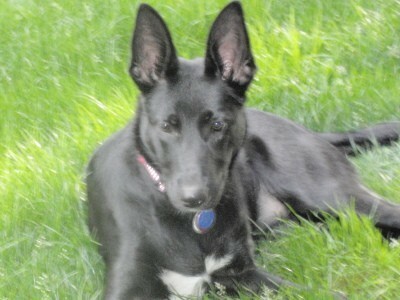 She does look pure GSD in the photo except for her white spot. GSD ears always look huge when they are puppies! She is (was- your post was years ago) a beautiful pup! Oops- looking at her again, her muzzle is too narrow for pure GSD. Yep, maybe some Mal, BC or other narrower muzzled breed. She is lovely! I have a 4 month old puppy who looks exactly like that and the vet's tech said she looks like a Belgian Malimoix.She is very smart,her ears are huge but we are having trouble training her.They are used for police and military dogs.The shelter tried to tell us she was a border collie but there is no way. The picture of your dog looks exactly like mine. My dog is 3-4 about 35lbs and has an upward curl in his tail. His face & ears are exactly the same as mine down to color and white markings. 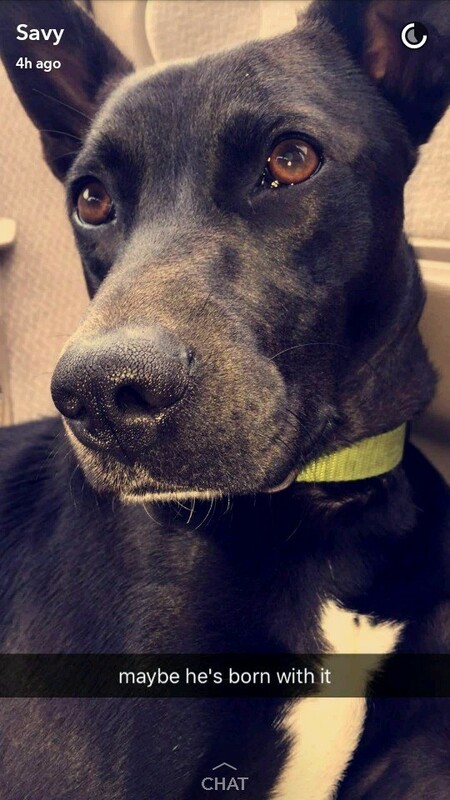 I Believe She is a Boxer Lab and German Shepherd mix because my dog looks just like that just with her ears down. she resembles my dog Cocoa. I was told she was part Chihuahua -- she is a rescue. Cocoa looks more like a lab mix and has webbed feet. I'm thinking of doing a DNA test. Looks alot like my Bean, hes a mountain feist. I think she might be a full malinois tbh. Her coat is still super short for a German Shepherd. So beautiful though!!! My girl looks identical to yours. Her mom was full blooded Shepherd. And her dad was a mutt. But they think either lab or border collie. Idk.